Who knew such beautiful things could grow out of black lava rock? The Big Island’s combination of black lava rock and the deep blue sea always amazes me. Aloha. 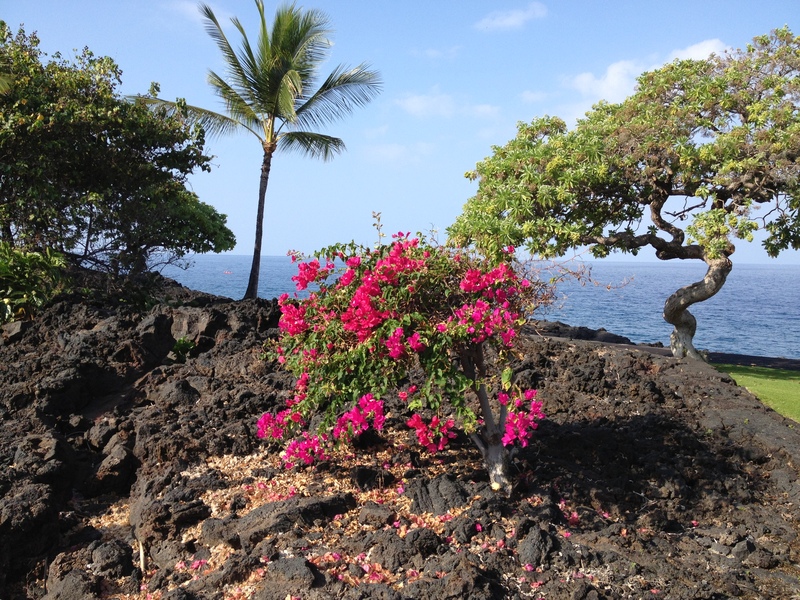 This entry was posted in Big Island, Flowers, Hawaii, Travel and tagged Big Island, Hawaii, Hawaiian floral and fauna, Kailua-Kona, Kona coast, Travel by alohajournal. Bookmark the permalink.